So … how long can you expect your furnace to keep working? It isn’t easy to give you a specific answer, because the broad answer is between 15 to 30 years. Different factors are involved in how long your furnace will last, but with the right treatment of the system, you should be able to get the furnace over the 15-year milestone without too much problem. If the furnace fails early because of a manufacturer’s fault, the warranty usually will cover it. 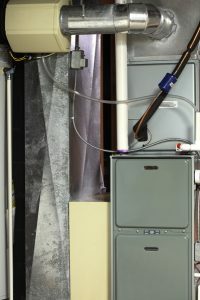 Let’s get into what can raise or lower your furnace’s service life. Gas vs. electrical: Electrical furnaces usually last longer than gas furnaces, although they cost more to run. Most homes in our area use gas furnaces. Make and model: In most cases, the brand of the furnace won’t make a tremendous difference. If the furnace was built to meet ENERGY STAR certifications, it’s a quality item. But older units often have shorter service lifespans. Regular maintenance: If you take nothing else away from this post, remember that routine professional maintenance is what will give your furnace the best chance at a long, productive service life. Without regular maintenance, the furnace may fail after only 7 or 8 years—and the warranty won’t cover a replacement for a system that hasn’t been regularly maintained. Arrange to have our technicians inspect and tune-up your furnace each fall and you’ll have a great return on investment. Professional installation: One way to see a furnace works for many years is to ensure it has a great start. A poor installation will cut into energy efficiency, reduce safety, and lead to a furnace that must be retired years ahead of time. You may decide to opt to have your furnace replaced after 15 years even if it is still working. Why would you do this? To take advantage of excellent high-efficiency models. According to the US Department of Energy, you can expect an excellent return on investment if you replace an old furnace with an AFUE rating of 80% for a new 95% AFUE model. We’ve mentioned the importance of maintenance already, so please sign up for one of our Preventative Maintenance Comfort Plans. This will ensure you have the furnace maintenance in Burlington, VT you need each fall—and you’ll also be set up for air conditioning maintenance this spring. Red Rock Mechanical, LLC serves Northwest Vermont and Northeast New York. Call us whenever you need the finest in local heating and air conditioning service.